Today is Nikon’s 100th anniversary. Founded on this day in 1917 as Nippon Kogaku K.K., the Nikon Corporation has transformed from a manufacturer of precision optical glass into one of the most iconic photographic brands in the world. Their camera legacy began in 1948 with the Nikon Model I and continues on to this day. And regardless of your opinion of Nikon today, the past 100 years are certainly worth celebrating. The festivities has been going on all year, with videos, a dedicated website, a series of special edition products, posters paying tribute to the company’s most iconic cameras and a lot more, all released this year under the “100th Anniversary” seal. But today is THE day, and in addition to teasing the upcoming D850 DSLR Nikon has released an official statement from its president about the future of the company, posted a couple of tribute videos, and released one of the wackiest music videos you’ve ever seen. 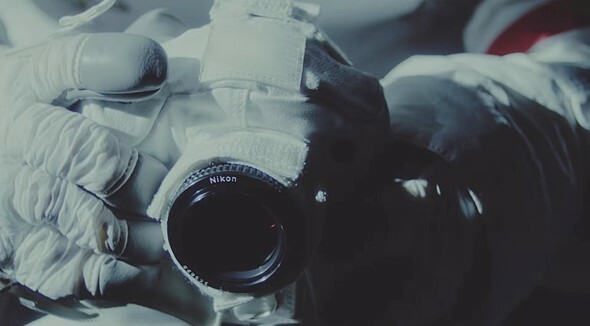 And this charming video titled “Passage of Light”, which pays tribute to the Nikon family. Finally, on a more serious note, the company published an official press release alongside a personal message from president Kazuo Ushida. The Nikon vision moving forward is summed up in a single phrase: unlock the future with the power of light. We’ll just have to wait and see what they means in practical terms, but we can only hope the next 100 years are as innovative and groundbreaking as the last hundred. July 25, 2017 – Nikon Corporation (Kazuo Ushida, President, Tokyo) was established in 1917 (as Nippon Kogaku K.K.). Since then, we have been creating unique value all over the world by providing consumer and industrial optical equipment, including lithography systems and microscopes as well as cameras, based on opto-electronics and precision technologies. Today, Nikon celebrates the 100th anniversary of its founding. We deeply express our sincere gratitude to all of our stakeholders who have faithfully supported our development that met the needs of the last 100 years. Over these 100 years, Nikon has contributed to industries and people’s quality of life with its state-of-the-art technologies during each era. We were able to successfully focus on and overcome continuous challenges because we were fully supported and trusted by our stakeholders. In order for people to create progress toward a prosperous future over the next 100 years, Nikon will continue to contribute to the world. Today, Nikon celebrates the 100th anniversary of its establishment. I would like to express my sincere appreciation to all of our customers who use our products in their everyday lives, and the stakeholders who have supported our businesses, from the bottom of my heart. For the past 100 years, consumer demand has called for convenient products that enhance daily life, and Nikon answered with its manufacturing skill and knowledge. However, society and consumer needs are rapidly changing today. We would like to effectively respond to these needs with the world’s highest-class opto-electronics, precision technologies and solutions. The difference from our past strategies is that we will offer not only products, but also ideas and solutions as well. Nikon will be reborn as a solution company providing superior technologies and ideas, holding “light” as our core competency. Following our corporate philosophy of “Trustworthiness and Creativity”, we hold a new vision of building the foundations of the next 100 years. We ask for your continued support as we move forward. Celebrating our 100th anniversary of establishment today, we also introduce our new vision for the next 100 years. As well as this, we are announcing various events planned ahead including new contents in Nikon 100th anniversary site. Marking our centennial year, we announce our new vision that actively leads to our next 100 years. Unleashing the limitless possibilities of light. Striving to brighten the human experience. Focused, with purpose, on a better future for all. a wide range of interests to cultivate fresh ideas. and delight in differences among people and cultures. to effect positive change in the world.